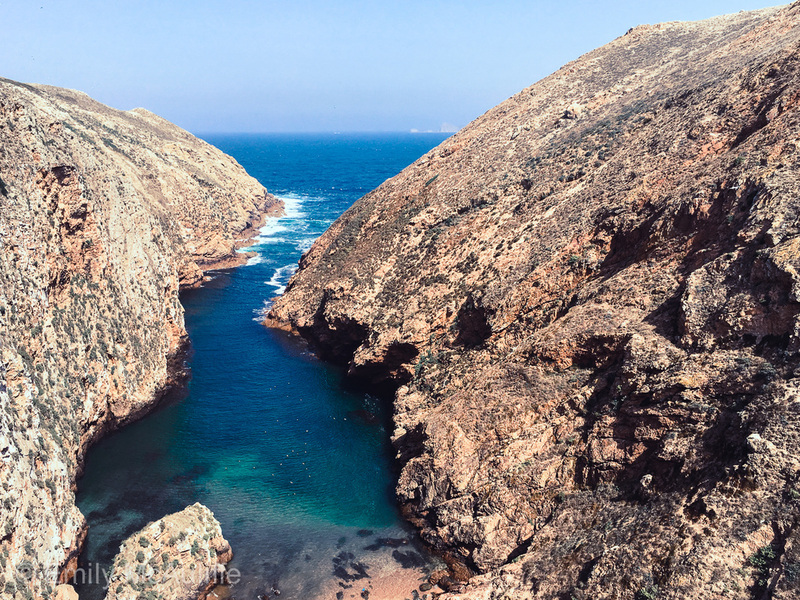 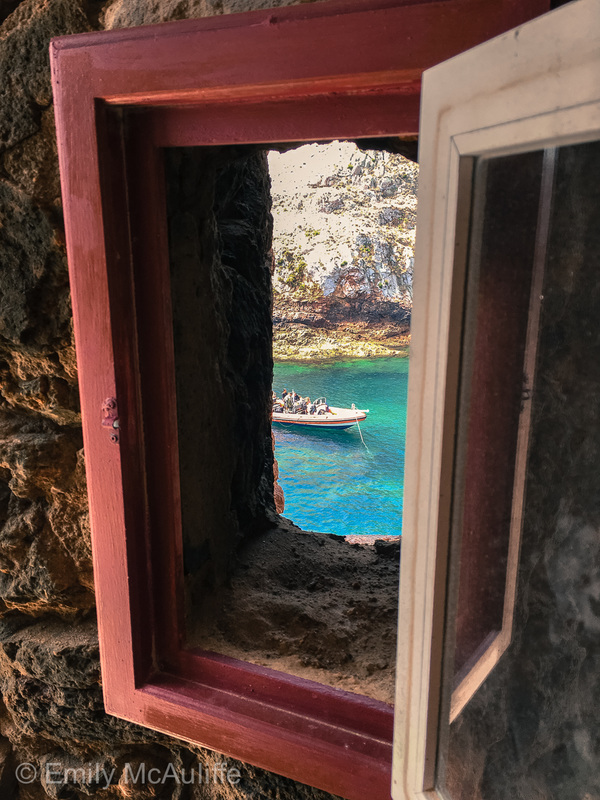 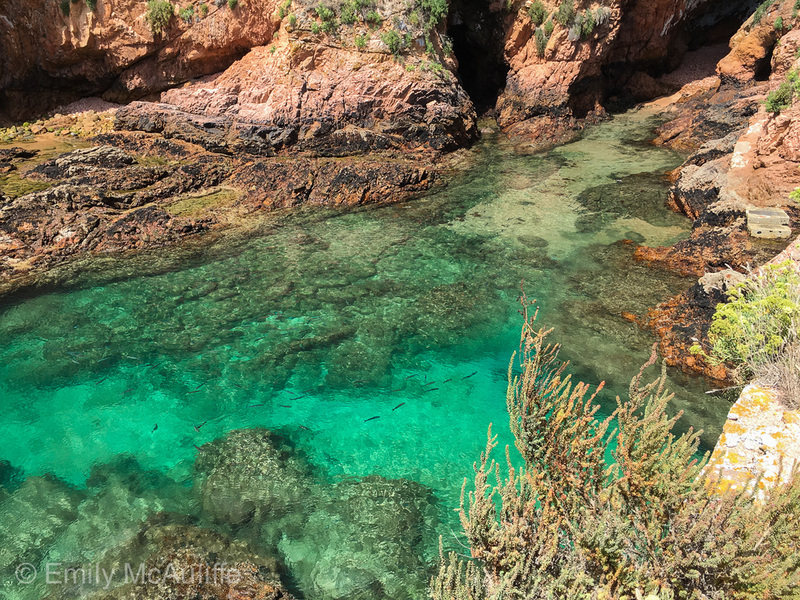 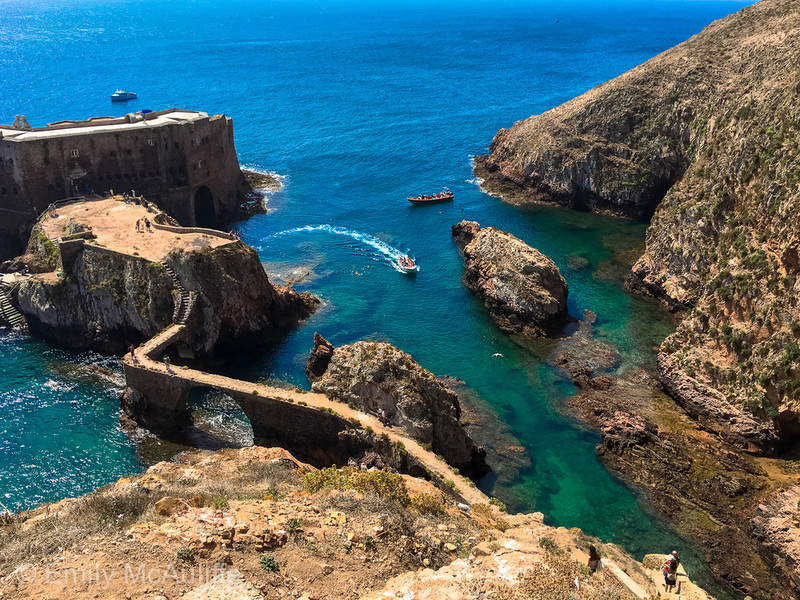 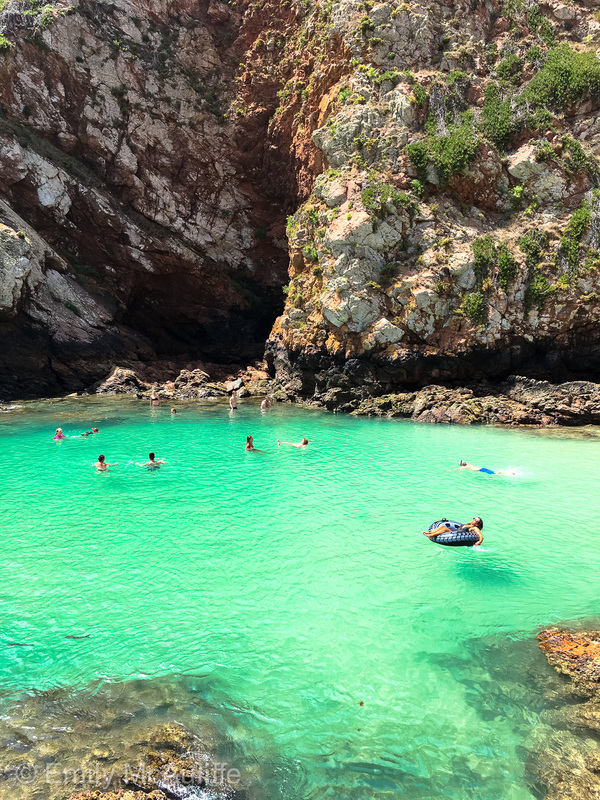 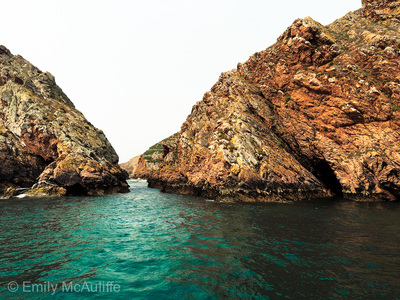 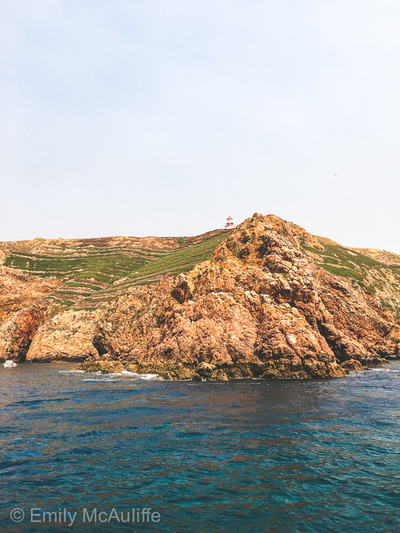 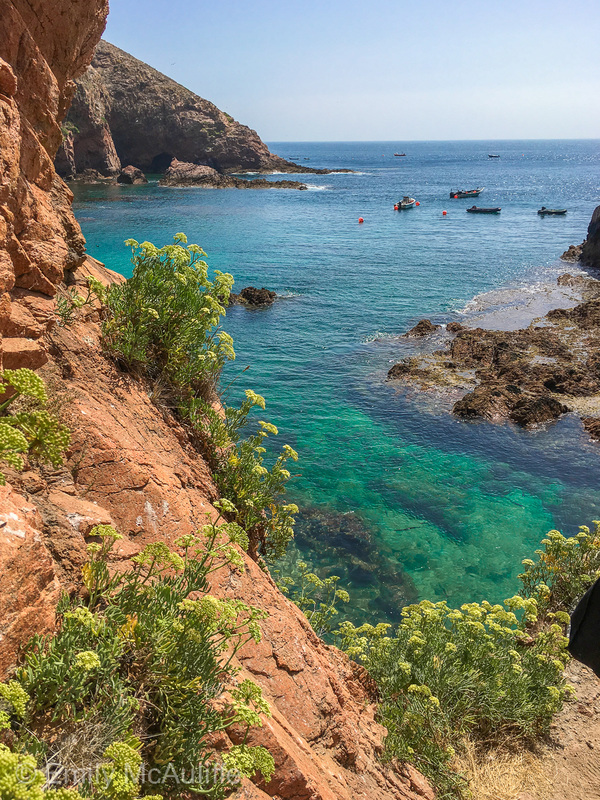 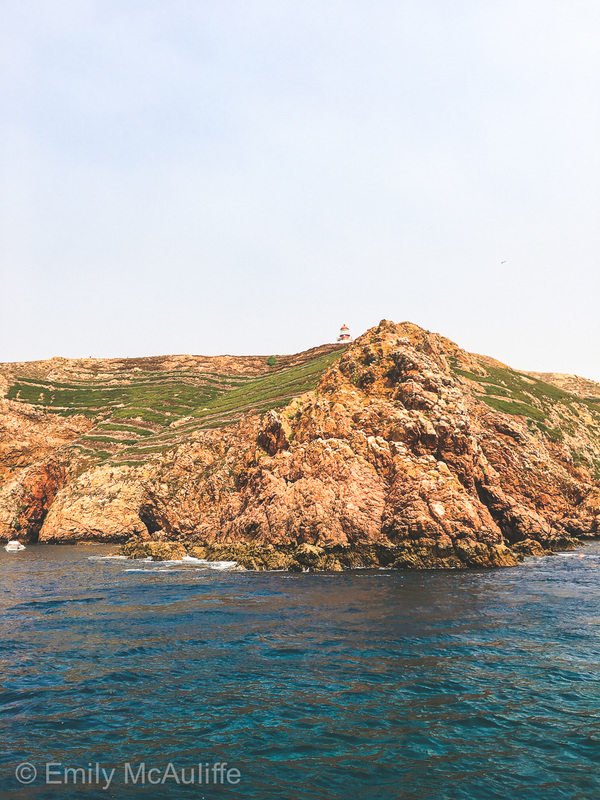 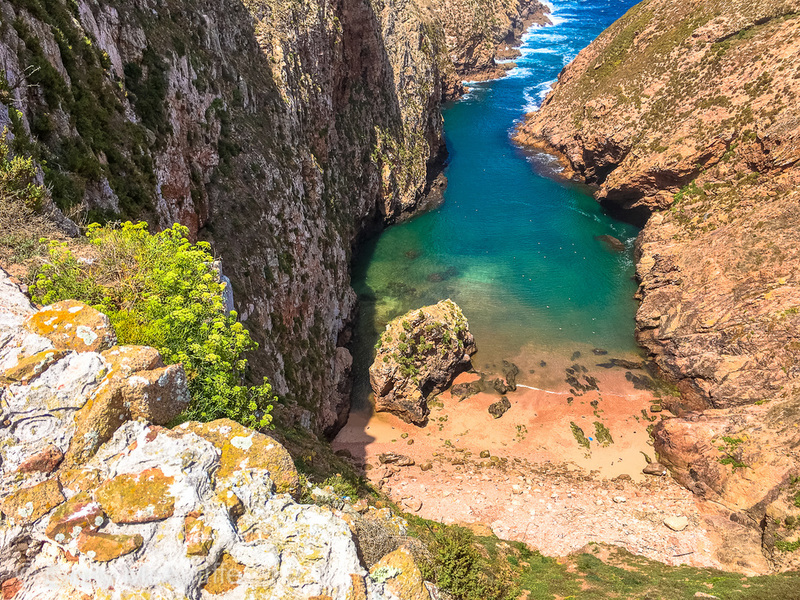 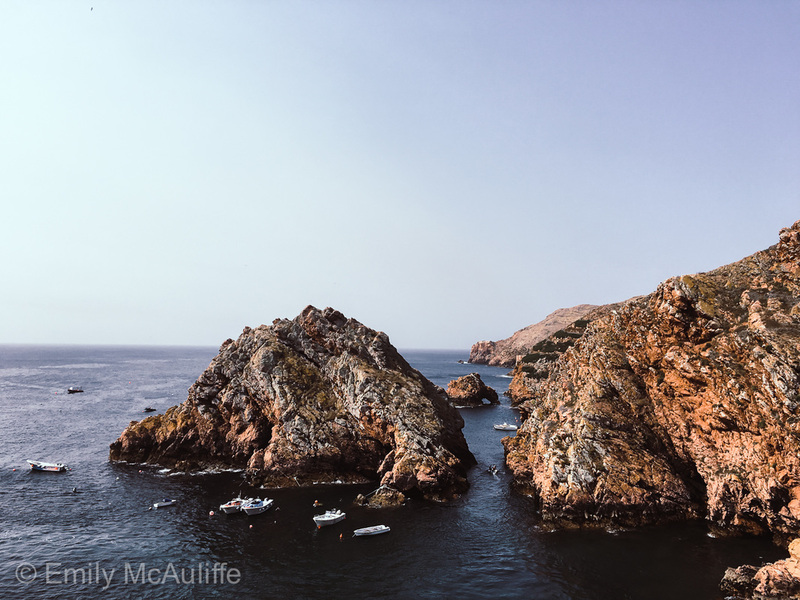 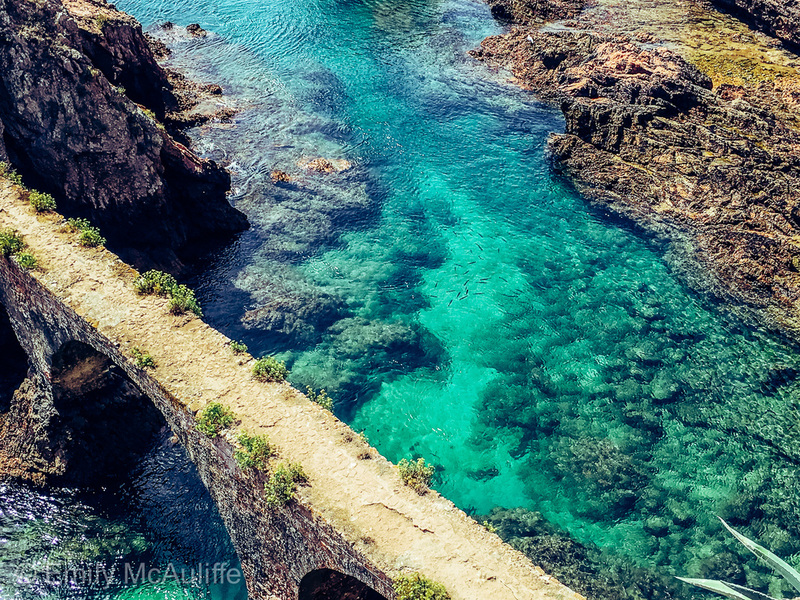 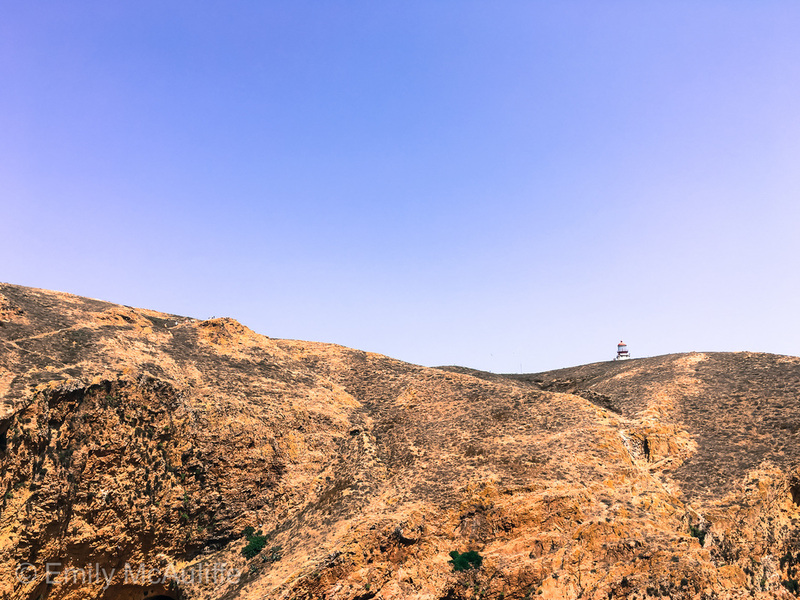 Berlenga Grande Island (sometimes referred to as just Berlenga Island) is the biggest island in the Berlengas archipelago and nature reserve in Portugal. 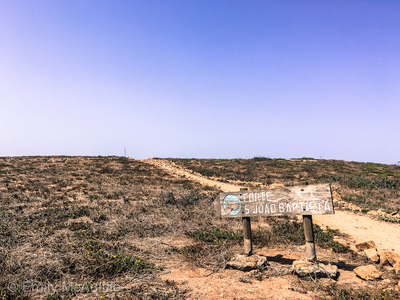 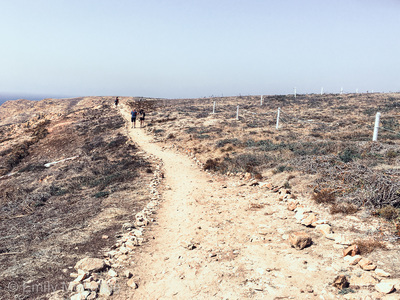 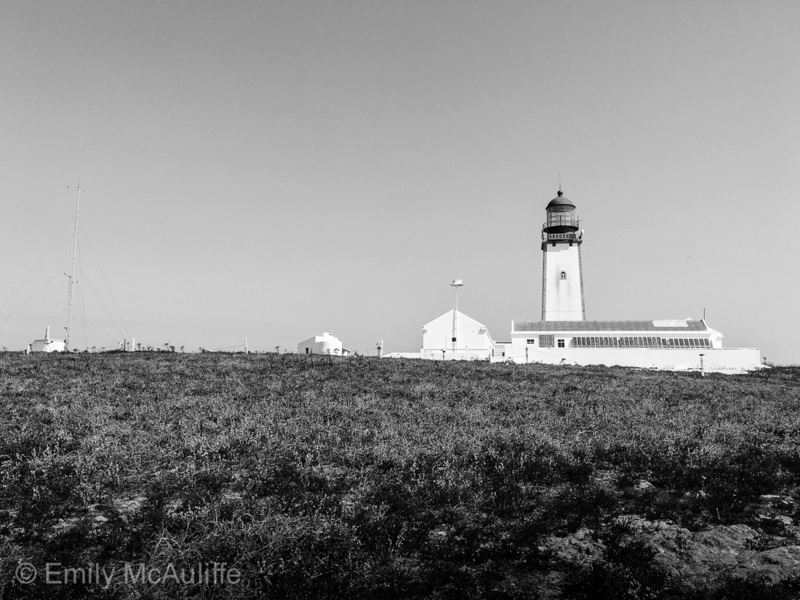 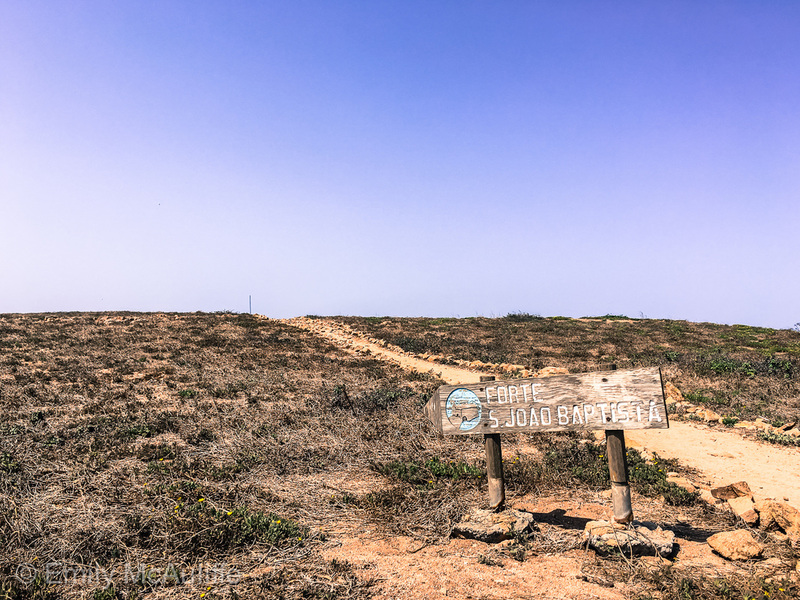 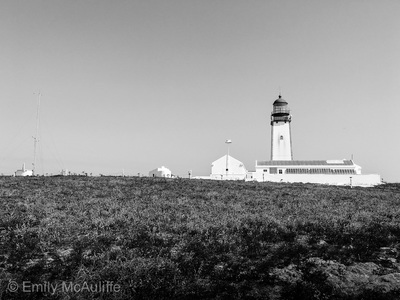 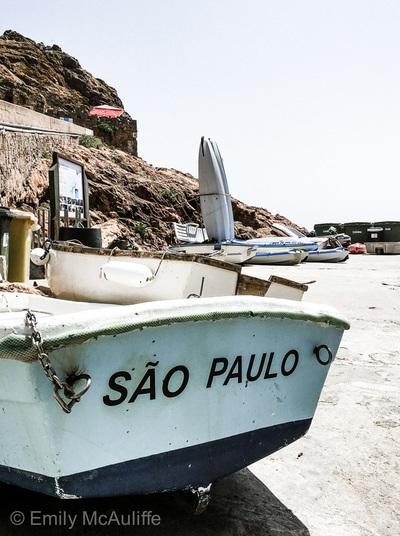 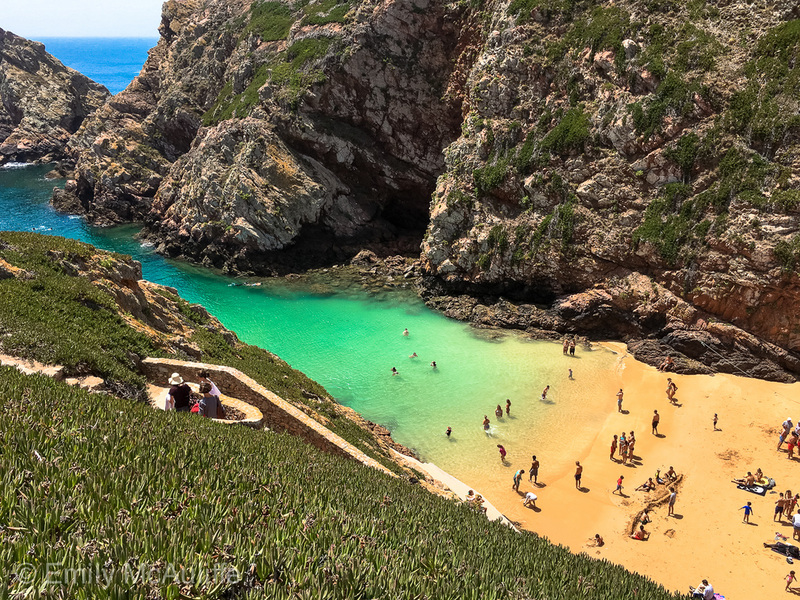 The island is reached via a 45-minute boat ride from the coastal town of Peniche, which is 100 kilometres north of Lisbon. 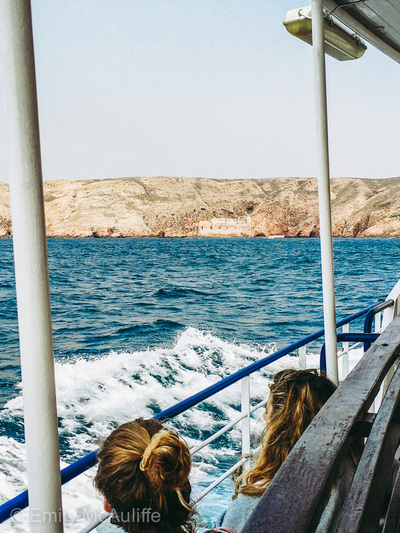 Just a heads up, the seas can get rough in these parts, so pack your seasick tablets. 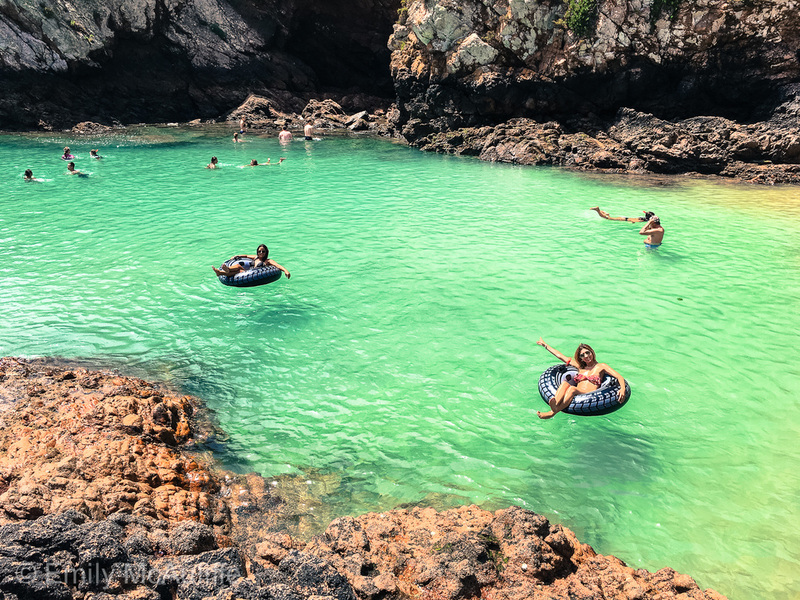 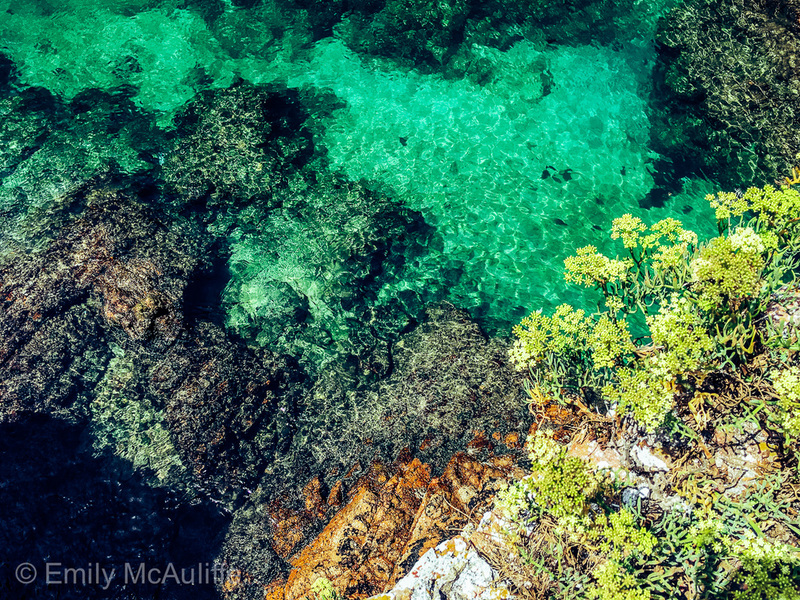 The sparse island can easily be explored on foot and offers a range of water activities such as kayaking and stand-up paddle boarding (how inviting does that turquoise water look?). 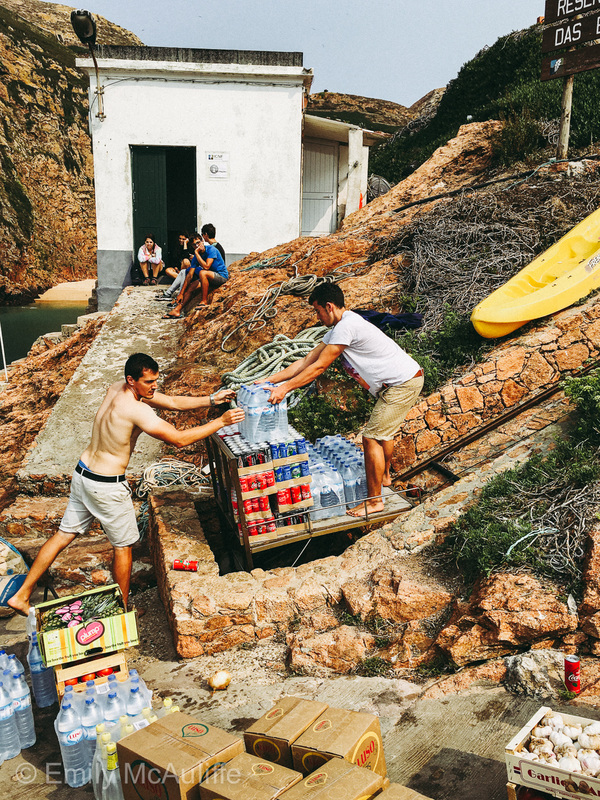 There are a couple of cafés on Berlenga but no ATMs that I'm aware of, so don't forget to bring some cash. 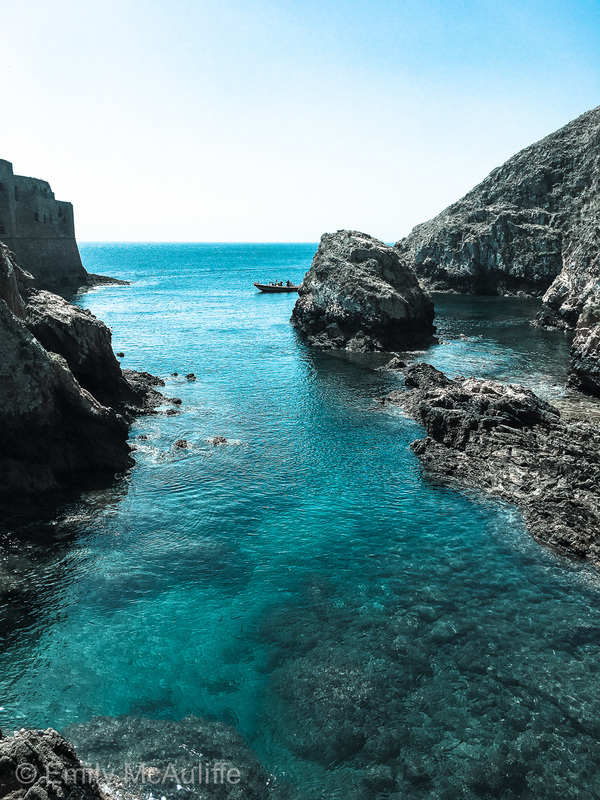 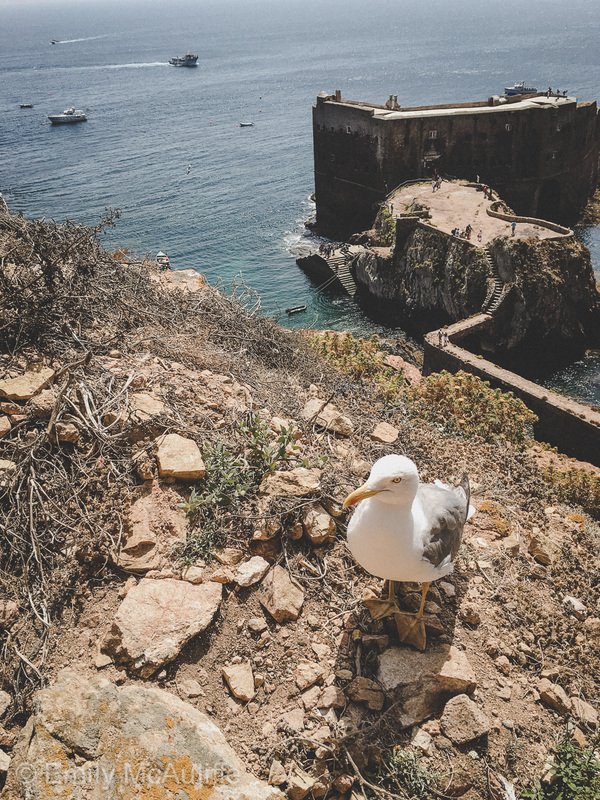 Be sure to visit the iconic Forte de São João Baptista das Berlengas (or the Fort of Saint John), which is a famous landmark in Portugal. 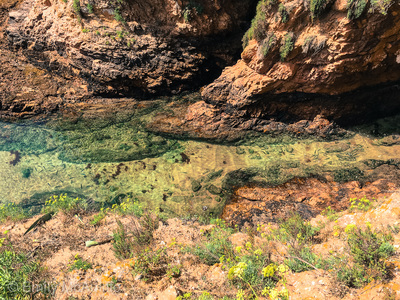 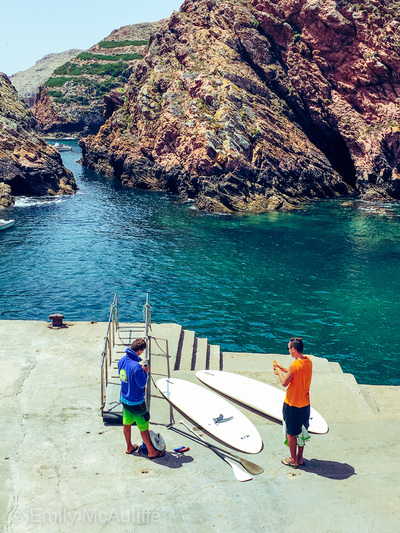 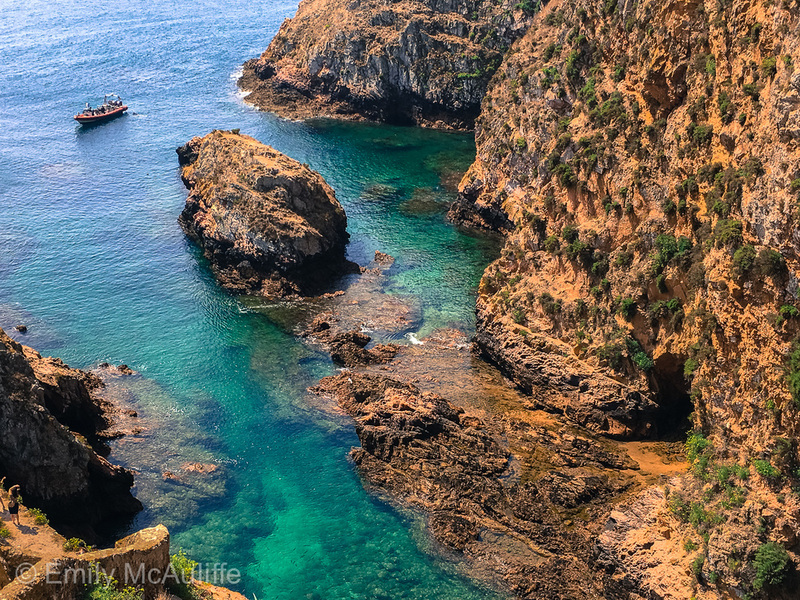 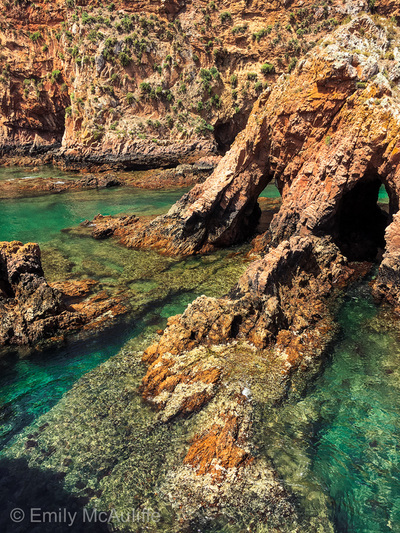 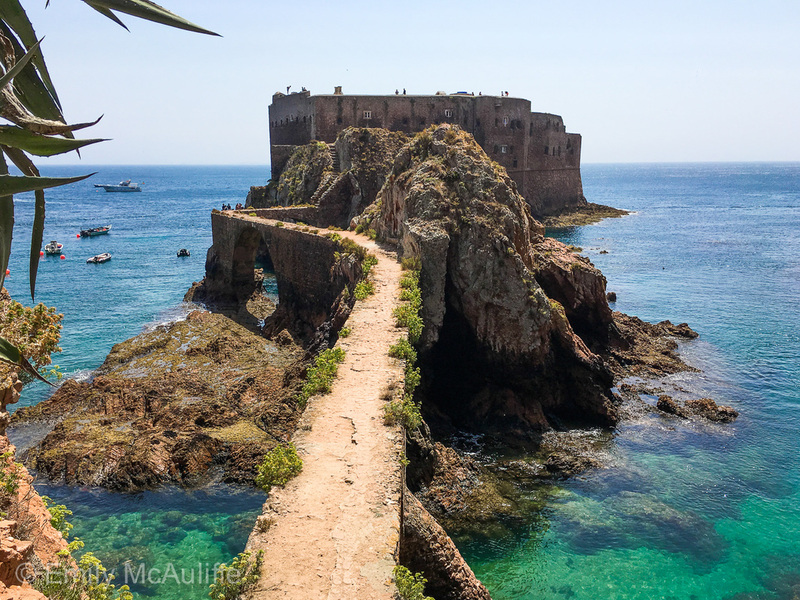 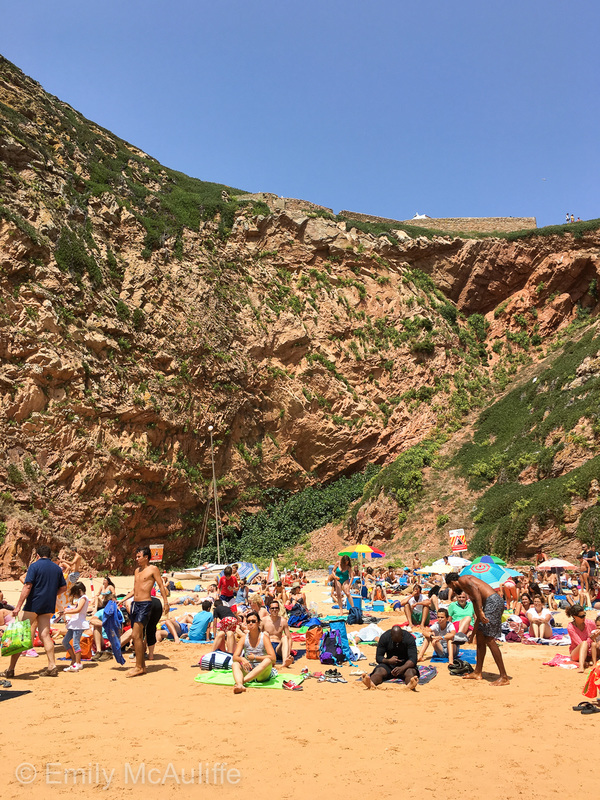 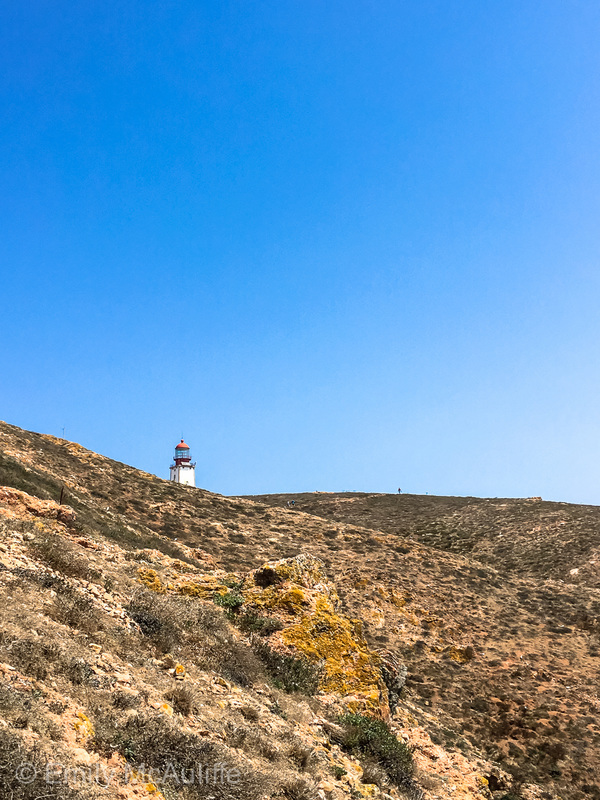 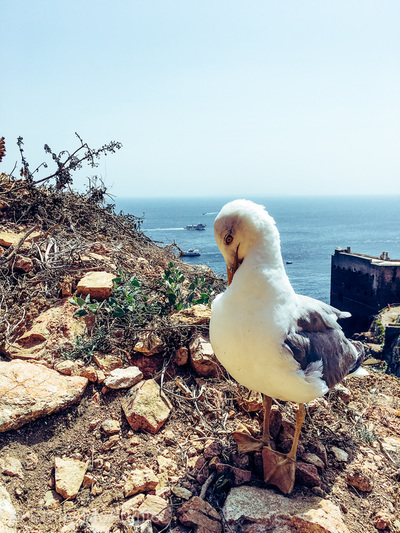 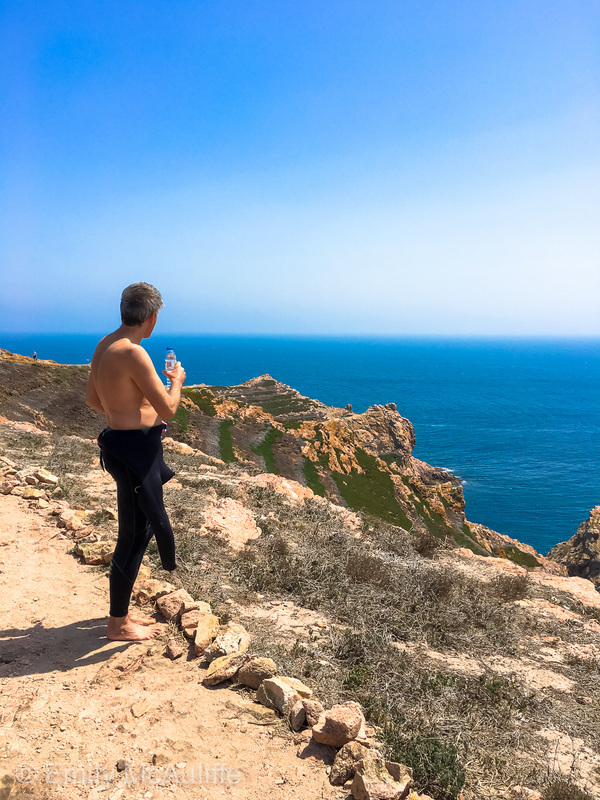 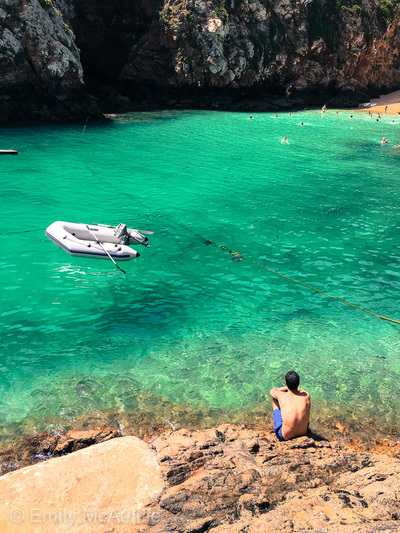 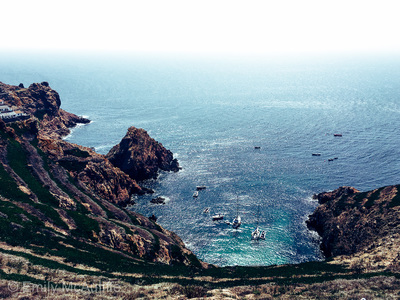 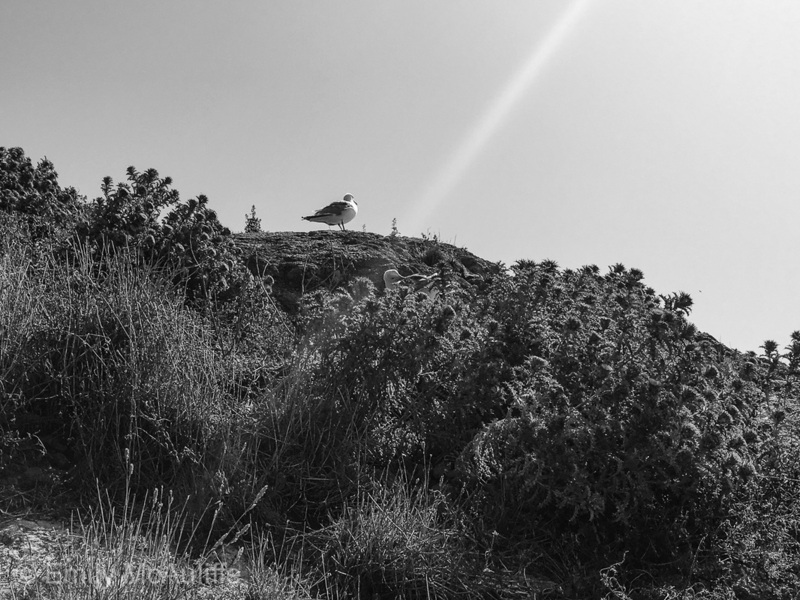 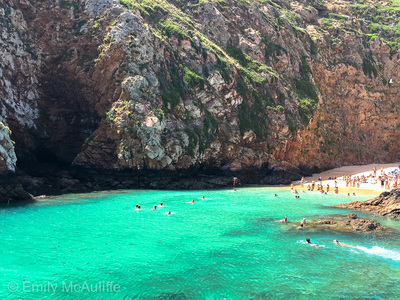 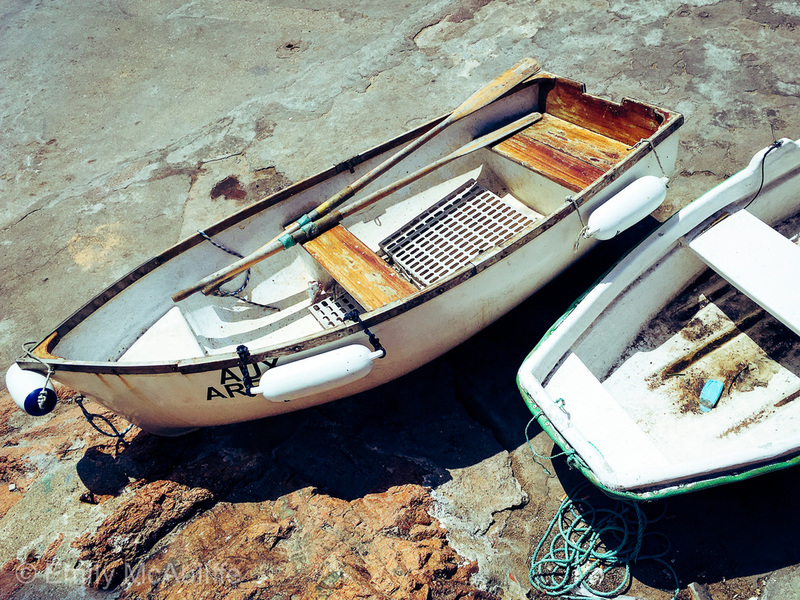 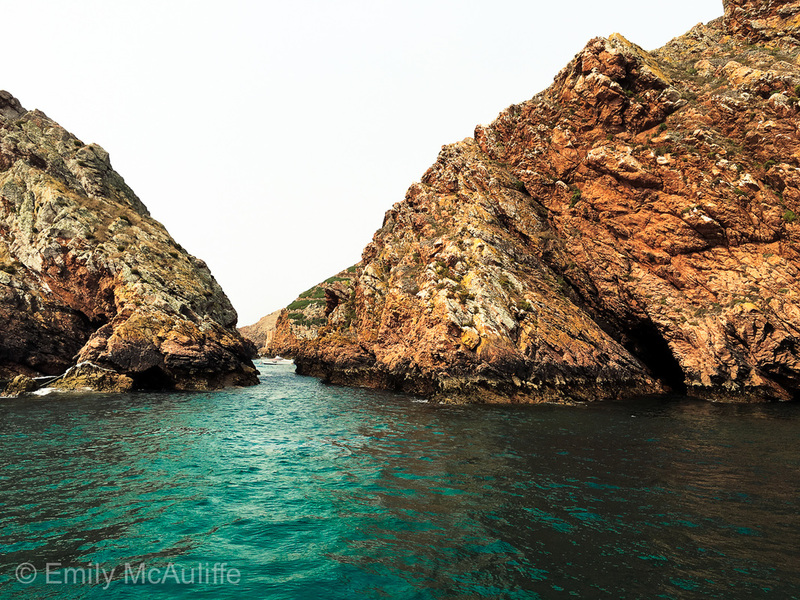 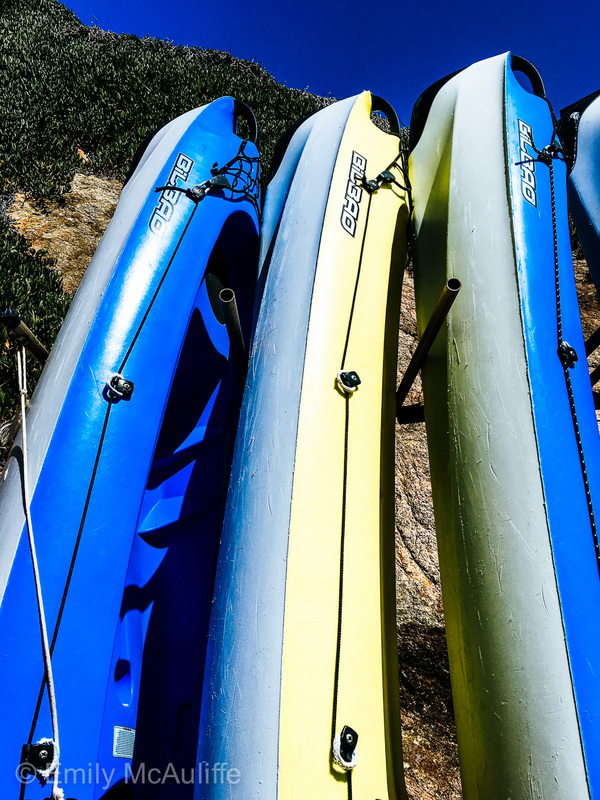 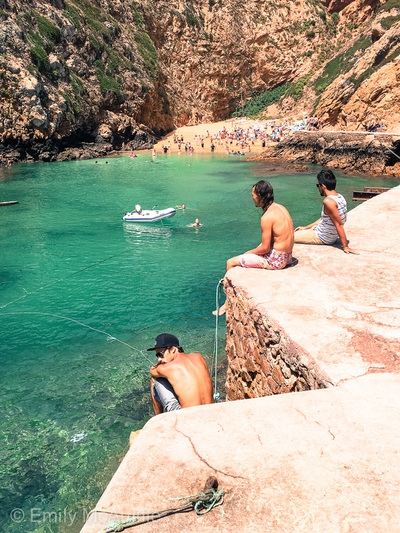 It's possible to do a day trip from Lisbon to Berlenga Island.